The cover letter of a resume has lost some of its necessity in the modern job market despite that it can be the hook that draws a hiring manager (who typically spends an average of about 10 seconds looking at your resume) into saving your application for greater consideration. The cover letter is all about getting noticed and should showcase your strongest selling points, otherwise known as your personal brand. It should go without saying that a successful resume is one that is custom made for each employer and the same goes for cover letters. And while such tailoring may limit the focus of your branding, it is more efficient to highlight only those skills that are of particular relevance to a job description. However, you still want to express how you are a better fit for a position and what makes you so different from any other candidate. A key understanding you must first gain about cover letters (and resumes in general) is that they are not about you, but about the employer. A quality cover letter will brand you in a way that presents you as a candidate that exactly matches what an employer is looking for. The first step to standing out is to immediately grab the attention of the hiring manager, and this requires a powerful opening paragraph. Consider foregoing the standard approach of simply listing your value to a company in a rote, and boring way and use a narrative hook so that you are using your own voice to demonstrate your knowledge and interest in a company. After pulling the reader in with your introduction, the main body of your cover letter should focus on areas of expertise, professional accomplishments, experiences, and other outstanding qualifications that are already on your resume. Keep the list of entries to two or three so that you can discuss the nuance of each entry and how it applies to the job. Show off your work by sharing your website and your online or offline portfolio so that employers can investigate you on their own and see real results of your efforts. 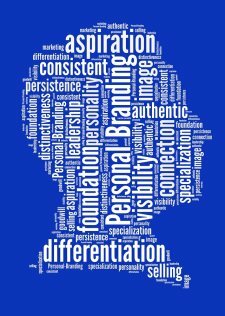 Once you’ve established and presented your personal brand, close with language as strong as that from your opening paragraph. Strong, in this context, means to avoid using phrases such as “I think” and “I believe.” Set a firm date to follow up with the employer and make sure the hiring manager knows when to expect your next communication. Also, list your professional social media sites so that they can discover your interaction style and expertise for themselves. Following this format ensures that your cover letter, supported by a strong resume, will remain focused, succinct, and fully connect your unique personal brand to what the employer requires.